And no big announcement by Tesla was made. It happened literally overnight, and now the Tesla Model X is cheaper than ever, though still far from affordable for many. 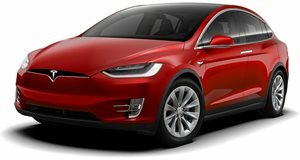 Electrek first discovered the price drop on Tesla’s website, and now the base Model X 75D starts from $79,500, or $80,700 once destination fees are added. That’s $3,000 less than it was before, and is exactly $5,000 more than the base Model S 75D. CEO Elon Musk initially wanted the Model X to begin at $5k more than the base Model S, but that hasn’t happened until now. But why the sudden price drop? Tesla states that when it “launched Model X 75D, it had a low gross margin. As we’ve achieved efficiencies, we are able to lower the price and pass along more value to our customers.” Electrek further notes that Tesla has now also added the once optional $5,000 Premium Package as standard on the Model X P100D, as well as the Model S P100D. But don’t think the base Model X lacks both luxury and technology. It can travel up to 237 miles on a single charge and blast from 0-60 mph in only 4.9 seconds. A fully-loaded Model X P100D begins at around $145,000, has a 289-mile range, and a 0-60 time of 2.9 seconds. 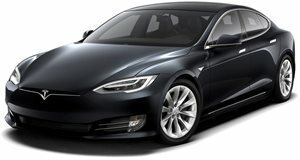 So yes, the Model S, even in base form, isn’t exactly cheap, but Musk claims that its production output now equals that of the Model S. And now that the Model S has a less expensive little brother, the Model 3, it makes all the more sense for the Model Y small SUV to be Tesla’s next new model.